Simplic Dark Classic : Its simple, flat with a dark twist. 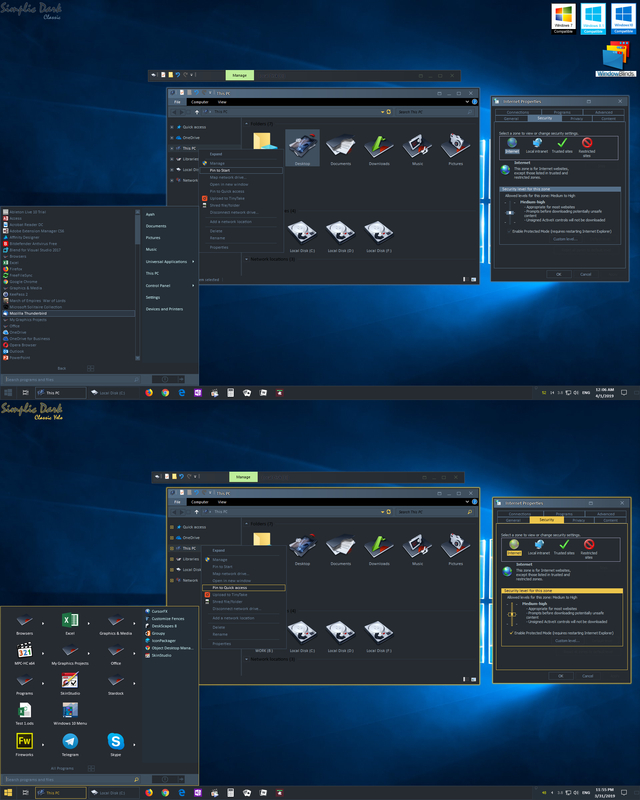 Certainly for someone who like simple dark theme, minimalist and flat.Tested and compatible for Windows 7, 8.1 and 10. Nice subtle color accents, Jazlan. I like it! Thanks, Arnoud! Arnoud : Glad you like it. Thank you. Jakeco : Glad you like it. Great job on this theme Jazlan......love the subtle colors. Matches_Malone : Thanks, , but with Start10 you can change your startbutton with any button you wish. Just need to set in your WB configure windows -> Setting -> Select "Always use the OS start button rather than the style one". Than you can change that buttons in Start10 to any button you wish.